It’s hard to think of an area of human endeavor or interaction that technology has not made more agile or efficient. From Uber to Netflix to Airbnb, each disruption has shown us that no industry is off-limits and that things shouldn’t be taken for granted just because “that’s the way it’s always been done”. The result, arguably, has been a healthier marketplace with more choice and better products for customers. In education, the rapid growth of EdTech has shown that we’re now experiencing a similar convergence of dynamics that spells out a huge technology-driven paradigm shift. Prominent EdTech investor Tory Patterson said in the Wall Street Journal that start-ups in this field have a huge chance to unseat incumbents due to the introduction of broadband Internet, mobile and social technology in schools. After shaking up the English language learning textbook publishing market in China, Lingo Media now looks to change the way English language learning is taught in educational instiutions and corporations in Latin America. Stories about the future of education and EdTech are often crafted by those investing in those very futures. These stories are repeated and amplified by those same people and help to shape the industry as we know it. The Gates Foundation has spent billions and billions of dollars driving various education initiatives. In October 2015, Bill Gates gave what Education Week observed was “his first major speech on education in seven years,” and indicated his foundation would “double down” on teacher preparation and common academic standards. After the birth of his daughter this past fall, Mark Zuckerberg and his wife Priscilla Chan wrote her a letter (and posted it on Facebook) discussing how they will donate the majority of their Facebook wealth to charity. 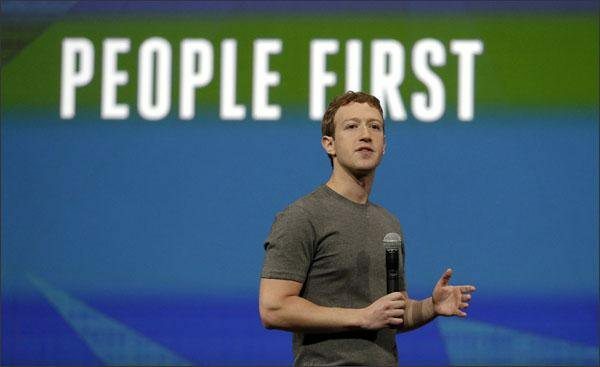 Among the projects that the new Zuckerberg Chan Initiative will fund include “personalized learning”. Zuckerberg’s interest in such a thing is no doubt connected to investments that he’s already made – in the private school AltSchool, for example. And in September, Facebook announced that it had been working on building software for the Summit charter school chain. Joining Gates and Zuckerberg in venture philanthropy is Laurene Powell Jobs, Steve Jobs’ widow. Her organization, the Emerson Collective, announced a campaign – XQ: The Super School Project – to get folks to “rethink high school.” The Emerson Collective also invested in AltSchool and Udacity last year. Marc Boxser, Global Director for Strategic Initiatives at GEMS, points out that the recently announced sustainable development goals illustrate how many global education challenges still remain unmet. “Around 250 million children of primary school age cannot read or write, and at current rates of progress, it will take until 2072 to eradicate youth illiteracy”. The growth of EdTech, he explains, is the key to solving this problem. No matter the application, technology provides the greatest opportunity to make major gains in education outcomes. So it’s no wonder that EdTech has gone from being somewhat unappreciated to a real contender for being the center of attention when it comes to technology growth and investment. There were plenty of predictions last year that all this investment would result in exits – that is, IPOs, mergers, and acquisitions – that would “defy historical trends.” The education sector is “hot” for these sorts of deals and the strong investor interest in the sector is predicted to continue. Brentwood Associates bought Excelligence. inRESONANCE bought SchoolYard. Hack Reactor bought MakerSquare. Pluralsight bought Code School. Fingerprint bought Cognitive Kid and Scribble Press. Google bought Launchpad Toys. Blackboard bought SchoolWires. Sibling Group bought Urban Planet Mobile. Alma bought Always Prepped. Elsevier bought Newsflo. The Advisory Board Company bought GradesFirst. Renaissance Learning bought UClass. Hobsons bought Starfish Retention Systems. Harris School Solutions bought Classmate. Embibe bought 100Marks. Rakuten bought Overdrive. Popexpert bought Online Marketing Institute. Bonnier Business Press bought Clio Online. Valore bought Boundless. Proquest bought SIPX. After College bought Collegefeed. The Learning House bought Software Craftsmanship Guild. Rizk Ventures bought Classroom 24–7. XSEED Education bought Pleolabs. Ellucian bought Helix Education’s LMS. Blackboard bought Remote Learner UK. TES Global bought Unijobs. EBSCO bought Learning Express. Oxford University Press bought bab.la. Proquest bought MyLibrary and OASIS. Houghton Mifflin Harcourt bought Scholastic’s EdTech business. TAL Education Group bought Gaokaopai. Sandbox Partners bought Pearson’s Family Entertainment Network. The Learning House bought Acatar. Automattic bought WooThemes. Oxford University Press bought Epigeum. TES Global bought Hibernia College UK. West Corporation bought SharpSchool. Learnbrite bought Chatmapper. Pearson VUE bought ProctorCam. Vista Equity bought PowerSchool. Techstars bought UP Global and the Startup Weekend franchise. gphomestay bought Brooks Institute. Kuepa bought First Class. Simplilearn bought Market Motive. Level Data bought Student Sync. Safari Media bought Popforms. Data Recognition Corporation bought McGraw-Hill Education’s testing business. Apollo Education Group bought Iron Yard. Blackboard bought X-Ray Analytics. Recruit Holdings bought Quipper. TargetX bought Uversity (formerly known as Inigral). Pluralsight bought Hackhands. NetDragon bought Promethean. Atomic Learning bought Versifit Technologies. Unizin bought Courseload. Civitas Learning bought BlikBook. Noodle bought AllClasses.com. Blackbaudbought Smart Tuition. Blackboard bought Nivel Siete. Affirm bought LendLayer. Houghton Mifflin Harcourt bought MeeGenius. Education Week bought Learning Matters. TPG Capital bought Ellucian. Perceivant bought Bearface Instructional Technologies. 21st Century Fox bought National Geographic. Education Corporation of America bought some Kaplan Higher Education campuses. EnglishCentral bought Langrich. Cengage Learning bought Learning Objects. TAL Education bought FirstLeap. Gutenberg Technology bought Neodemia. Joel Klein and other Amplify executives bought Amplify from News Corp. Hack Reactor bought Mobile Makers Academy. Principled Technologies bought WeeJee Learning. Work Day bought Media Core. ProQuest bought Ex Libris. Bibliotheca bought 3M’s library division. Cengage Learning bought Pathbrite. PowerSchool bought InfoSnap. Cross Street LLC bought Double Line Partners, developers of the Ed-Fi data framework. Blackboard bought Blue Canary. Open English bought Next University. Apollo Education bought Career Partner GmbH. Private equity firms love buying EdTech companies. Perhaps because the average investor in the market is rather unfamiliar and unaware of them. The most active investors in EdTech were: NewSchools Venture Fund, 500 Startups, Learn Capital, LearnLaunchX, Kapor Capital, GSV Capital, TechStars, Andreessen Horowitz, the Bill & Melinda Gates Foundation, and Deborah Quazzo. Click here to see the list of the most active EdTech investors since 2009. Investors, big and small, recognize the opportunities for growth in the EdTech space. It’s really more a matter of when, not if, digital disruption will firmly entrench itself in classrooms. Please visit us on our website at www.lingomedia.com to learn even more about investing in EdTech. Lingo Media is Changing the Way the World Learns English. Don’t be left behind with this opportunity and be sure to stay tuned to the third and last installment of this mini-series – How EdTech Companies Have Performed?